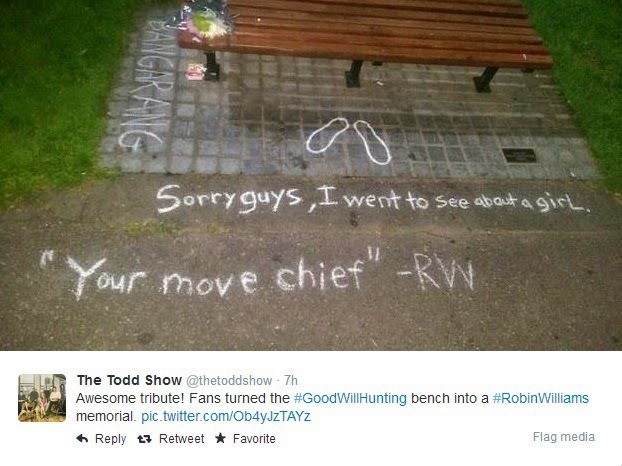 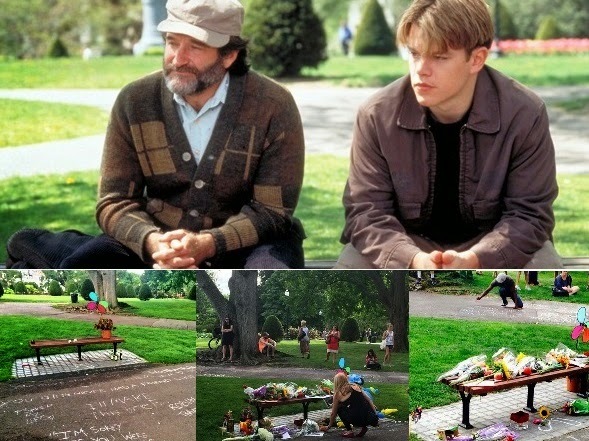 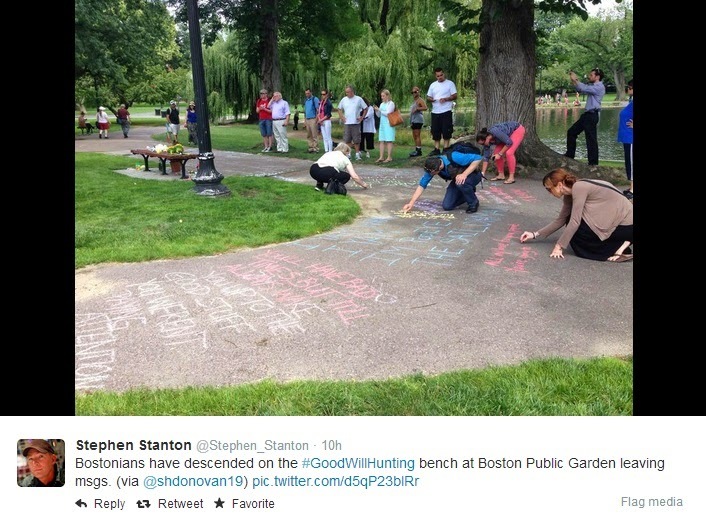 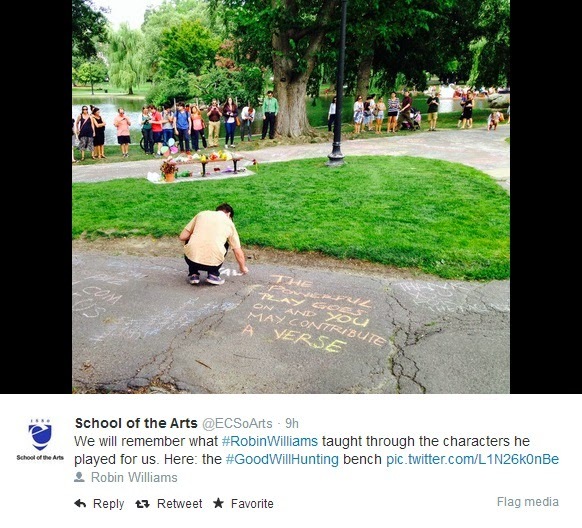 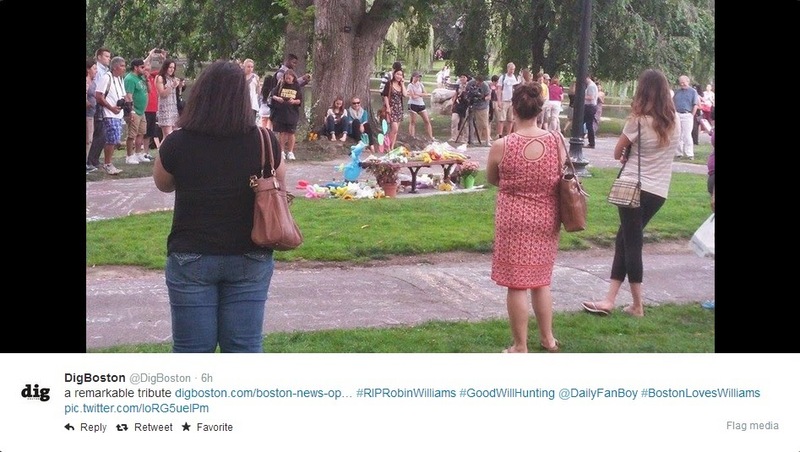 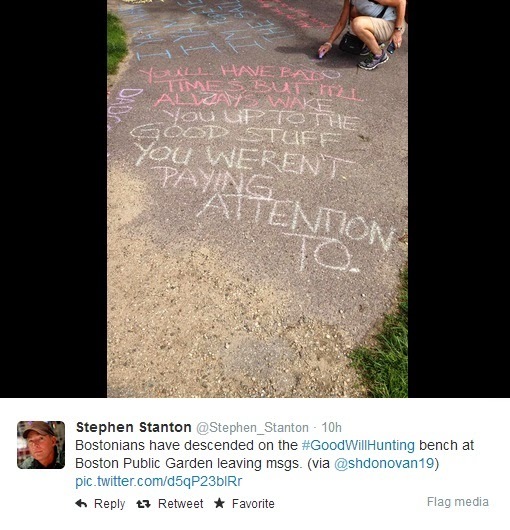 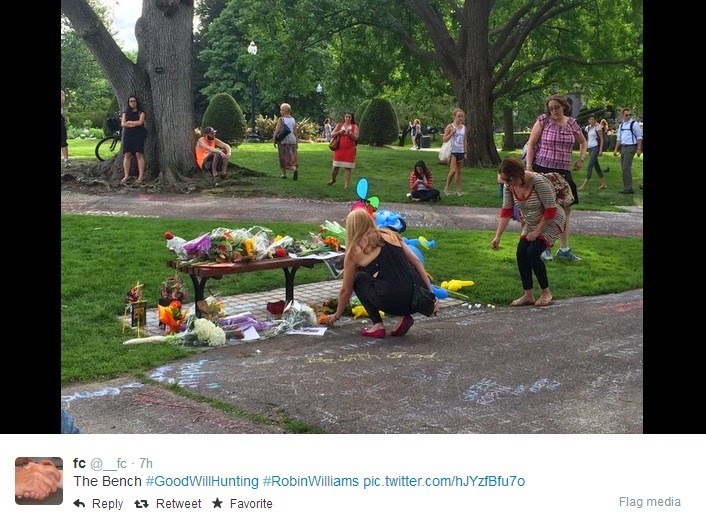 In remembering the late actor, the prominent bench scene with Matt Damon and Robin Williams in the Oscar-winning 1997 film, "Good Will Hunting" has led to fans now turning the actual bench located at Boston's Public Garden into a memorial site for Robin Williams. 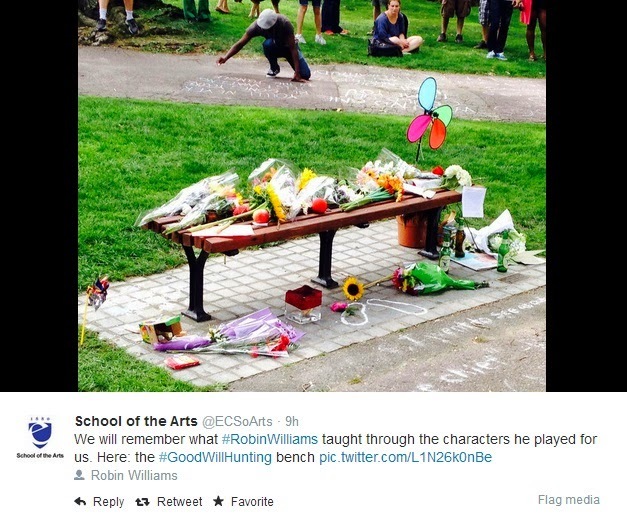 The 63-year-old beloved actor who died yesterday due to what police ruled as death by suicide, had taken the world by shock. 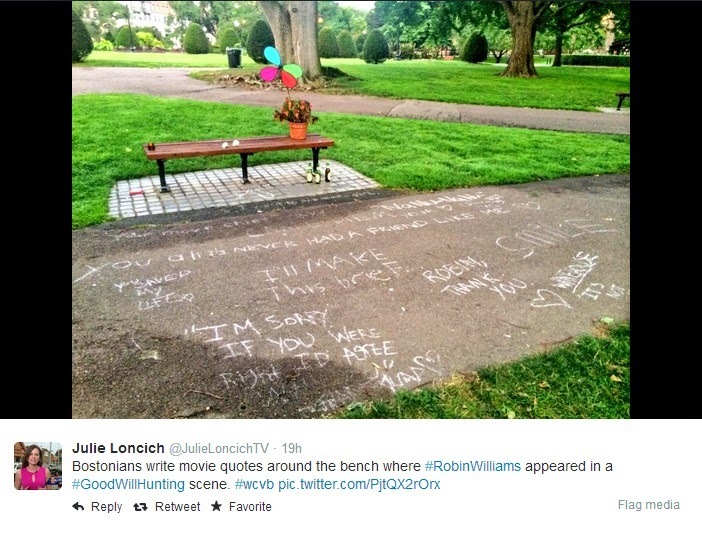 A few hours after the news hit the waves, fans of the late actor had reportedly started visiting the site of the bench to lay flowers and write quotes from the film on the ground. 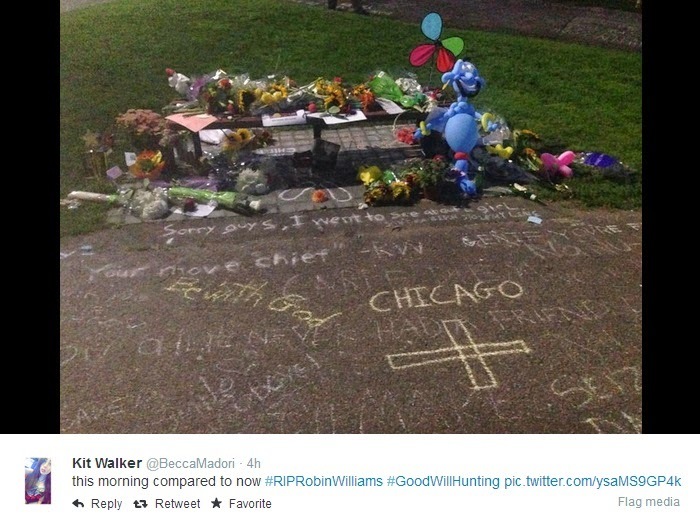 Currently, there is also a petition to put up a bronze statue of Williams.